Running: Where do you start? With proper form and techniques! Why is a podiatrist talking about proper running techniques? Because running starts with your feet, of course. But it only starts there, because the way you hold your whole body matters. From your head to your toes, everything can be adjusted to help you run better, faster and feel better afterwards. Your feet: Make sure you run light footed, not stomping as you run. You should land on your heel to your mid foot and then quickly roll forward to and push off on your toes. Your legs: focus on having a good, but comfortable stride length. This is accomplished by making sure your feet land right underneath you and that your knees don’t twist in or out when your foot is behind you. Your torso and hips: Point your pelvis and stomach straight in front of you. Don’t bend forward or backward, but maintain a straight posture, standing tall. Your arms and hands: Relax your hands – let them close lightly with just the fingertips barely touching the inside of your hands. Your arms should be bent at a 90 degree angle at the elbow, and swing them only forward and back, not across your body. Your shoulders: Don’t pull your shoulders up, but rather let them be low and relaxed. Your head: Make sure you keep your eyes focused at a normal eye level in front of you, not looking down at your feet, behind you or up in the sky. By doing that, your head will be more relaxed, and will help keep your back and neck straight. Follow these techniques and you’ll run better, faster and feel better afterwards. 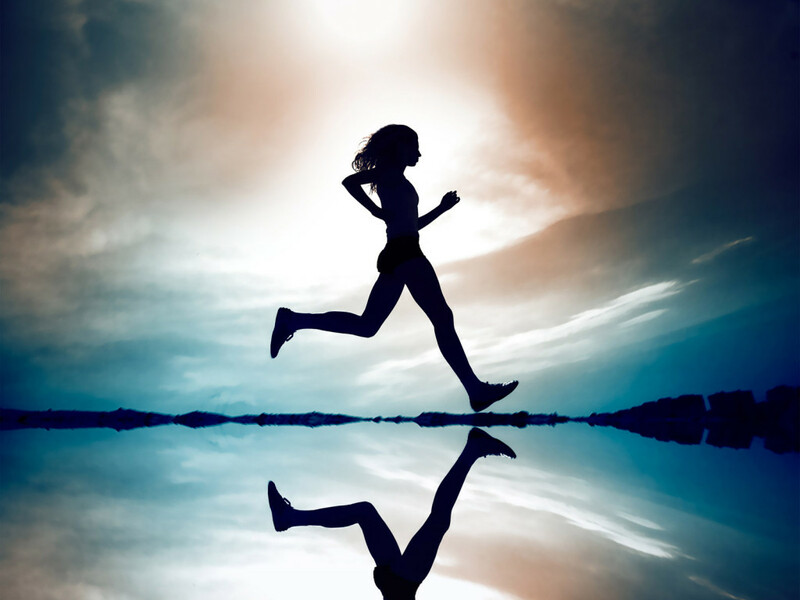 A good running posture also helps to keep your body from injuring itself. East Penn Foot and Ankle Associates specializes in treating sports related injuries, so if you suffer a sports related injury to your foot or ankle, waste no time in contacting us for a thorough examination and diagnosis.